Here is the podcast interview I did with Troy Horton … enjoy! If it was this easy, our network marketing companies would not need us. They could post on social media, or send out text messages to thousands of people. No need to waste any money on commissions and bonuses for us. For some of us, this is painful to hear. We want to be paid for our intentions, not for our efforts. Business does not work that way. If we want people to attend our in-home presentation, buy our products, come to a meeting, or to join our business … we have to perform. We have to create results. We invest time with prospects. Our return on our investment is that some prospects will want to check out our products and business. But we have to invest the time. But back to the accounting career. If we are unwilling to do what it takes to be an accountant, then our accounting career is doomed. The same for network marketing. If we are unwilling to do what it takes to talk to people, and learn how to talk to them properly, then we can’t expect rewards from our network marketing business. If you or any of your networking friends are in the Tallinn area, I will be conducting an all-afternoon workshop there from 1pm to 6pm on Saturday, March 23. Obviously, I only get to Estonia every 4 or 5 years for an open-to-the-public workshop, so here is their chance to attend. Australia is next in late May. How to use LinkedIn to build your network marketing business. But Dale Moreau just published his book, LinkedIn for Network Marketing: How to Unleash the Power of LinkedIn to Build Your Network Marketing Business. Dale believes that prospects on LinkedIn are far more qualified, ready for business, and willing to take action than prospects on Facebook. Anyway, there are many scripts and over 200 pages of step-by-step methods. So if you are looking to sponsor on LinkedIn, you will want to get as many ideas from Dale’s book as possible. Here is the Amazon link so that you can go and read the free preview. We get a lot of requests for a book to get new distributors started fast. Well, here is the book. Find out how to totally eliminate the fear of selling, where to get the first prospects, and exactly what to say … with no rejection. You might want multiple copies for the team, as it is a great way to kick-start anyone’s business. Check it out here or click the image below. One good idea can change how we work our business. If we continue doing our business as we are now, we limit our chances for growth. Here is a great way to see how others do their business. While Mark and I may not agree on the New England Patriots team, we do agree that if we master the basic skills of network marketing, then we will have a business for life. Hoping, wishing, pretending, and faking it. We know where we want to go, but we don’t know how to get there. The most common strategy of new distributors is to hope, wish, pretend, and fake success in the hopes that success will magically appear. The problem? This doesn’t work. Yes, we have the mindset and positive attitude. Unfortunately, what we are missing is the skills to make it happen. One of the most frustrating feelings for us is to want something badly, but not have the skills to make it happen. In the beginning of our careers, we don’t know this. So we just chant affirmations, sing the company song, be persistent in the face of constant failure, and hope over time that results might happen. Of course, the results don’t happen. 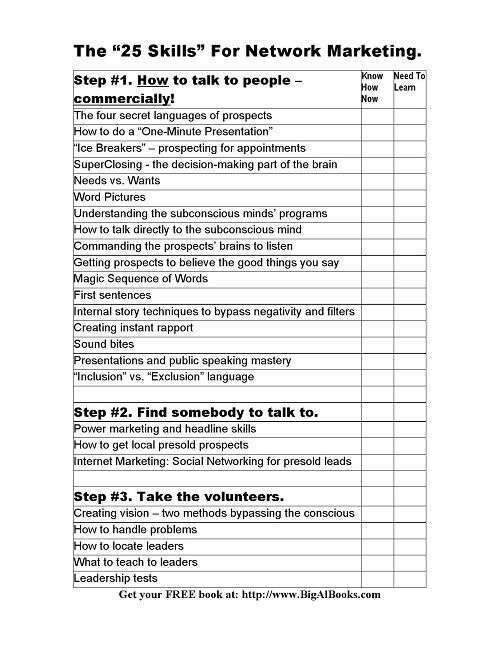 What we are missing are the 25 basic skills of network marketing. Below is the list of 25 skills. If you can’t see the image, click here. As in any profession, there are core skills we need to learn. Network marketing is no different. Dentists need skills. Engineers need skills. Accountants need skills. And, so do network marketers! Creating trust and belief in our prospects. If our prospects don’t believe the good things we say, we are dead. Our companies could offer the best plan in the world, but if there is no trust or belief, our prospects won’t engage. Fortunately, this only takes a few seconds to do. But if we don’t know how to do it, we will have frustrating careers. Learning creative ice breakers to turn social conversations and chit-chat into conversations about our business. We don’t want to look like greedy or sleazy salespeople. Instead, we want to guide people with problems to our solutions. This removes that icky feeling that we have when we plead with people to look at our company video, or review our literature. Learning how to close our prospects. We don’t take closing lessons in school, so there is no way we can understand the process of how our prospects make their decisions. We have to learn this new skill so that we are effective when we talk to people. When we don’t know this skill, closing will create fear and rejection. That is a bad combination. Understanding when and how to do a presentation. Regrettably, we feel presentations should be given like they were given in the 1960s. In the old days, salespeople were taught to talk AT people, tell them to hold their questions until the end, and to unload unlimited information in the hopes that this would convince prospects to buy or join. Modern brain science shows us that this is the perfect way to repel people. Yes, what we thought worked actually pushes people away. We need to learn the new methods of presenting. If we are not where we want to be in our network marketing business, it may not be our mindset that is holding us back. Jumping up and down at events, putting on a brave face, and thinking positive affirmations before we talk to prospects can only take us so far. In most cases, we are missing the hard-core skills of how to engage prospects and get them to make a decision to buy or join. Putting our efforts into learning the skills may be the fastest way for us to reach our dreams. Here is a list of basic skills for our network marketing career. Which skills are we missing now? And how much longer are we going to delay learning these skills? In what order should I read the “Big Al” books? When we come into network marketing, some of us have specific skills. Others, like me when I started, won’t have any skills. To be successful, we will eventually learn all the skills. Here is a rough list of the order we could read the “Big Al” books in to learn the skills. It is just a suggestion, but helpful for those who want to learn these skills quickly. 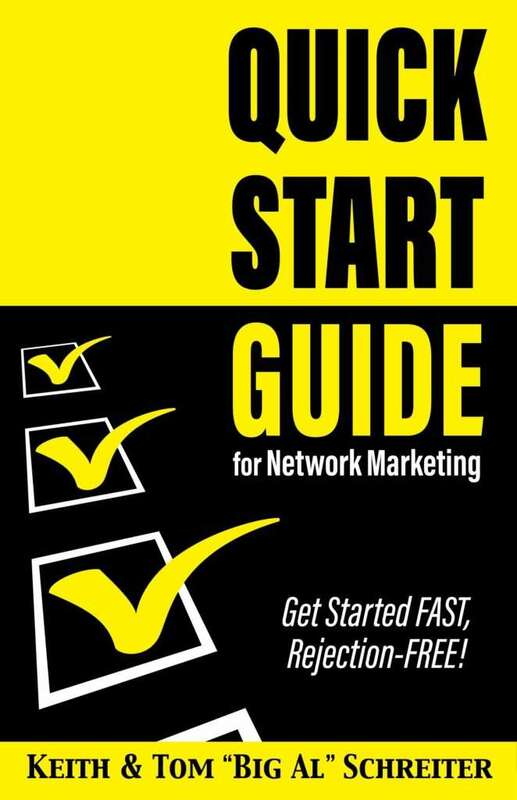 Of course, everyone should read the free book first, Why You Need To Start Network Marketing: How To Remove Risk And Have A Better Life. Believing in our profession makes us bullet-proof. 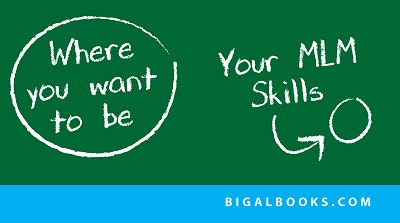 The Big Al Library of network marketing skills makes learning fun and easy. Instead of wasting time and being frustrated, we can learn exactly what to say and do in these step-by-step books. Our value to prospects is the knowledge and skills inside of our heads. The more we have, the more confidence they will have to come on our journey. Which “Big Al” book should I read first? Yes, there are a lot of “Big Al” books with step-by-step instructions on the individual skills of network marketing. Where should a new person start? Well, the answer is, “One size does not fit all.” But that isn’t very helpful for the new person. If network marketing means more money in our lives, we have to learn the basics. These three basic habits will set us off in the right direction. Every distributor should utilize these three magic habits. And, this is how we should start new team members. Why habits? Because willpower is weak. We don’t want to base our career on willpower. However, these three habits create the consistency we need to build our business. It is like putting the momentum of our business on autopilot. If everyone on our team did these three easy habits, we wouldn’t have to worry about the ups and downs and outside influences that happen. Our growth would be self-sustaining. Habits rock. We do them automatically. Even without thinking. If you haven’t read this book, now is a great time. If your team has not read this book, then we are working too hard. For less than a cup of fancy coffee, we can put a new team member on the highway to success. And if we want, we can even listen to this book on audio. What could be easier? 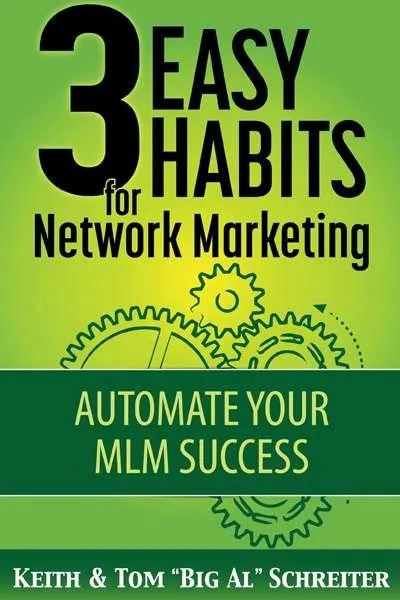 Use these habits to create a powerful stream of activity in your network marketing business. Wes Linden has been the Master of Ceremonies at the last several Mastermind Events. Plus, he is one of the best at following up with prospects. He just released his latest audio. It’s on Audible for about $5, but it is worth more than a cup of coffee!